Bayer Leverkusen grabbed 6-2 victory at Werder Bremen, Karim Bellarabi scored one and set up two more as Leverkusen claimed its third win from nine games to finish the weekend in 12th place. 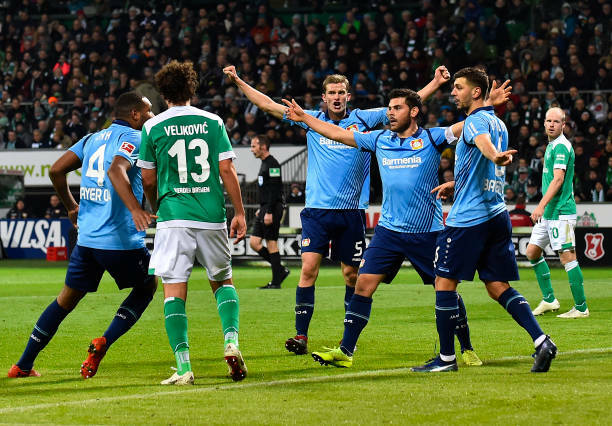 Bremen remained fourth, four points behind leader Borussia Dortmund. Kevin Volland gave Bayer Leverkusen an early lead but Bremen coach Florian Kohfeldt was angry as his team failed to be awarded a throw-in before the goal. Instead, Leverkusen was awarded the ball, Julian Brandt sent Bellarabi through on the right and the winger crossed for Volland to score from close range. The host was amazed minutes before the break when Bellarabi set up Brandt and then scored himself on a counterattack. Bellarabi also struck the post before coming off early in the second half. 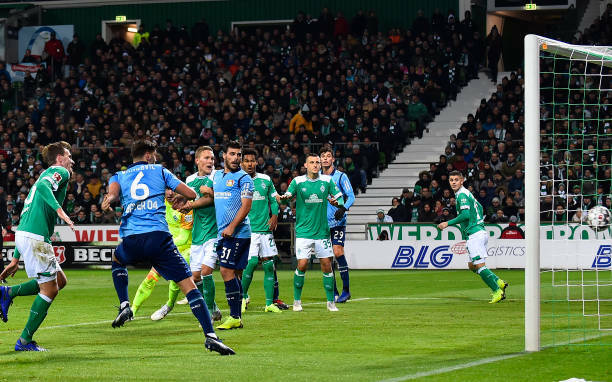 Bremen was given hope of a comeback, however, when the 40-year-old Claudio Pizarro, brought on as a halftime substitute, pulled one back on the hour mark, three minutes before Yuya Osako scored to make it 3-2. Osako goal was initially ruled out for offside, but the ball came off a Leverkusen defender and it was awarded by VAR. Kai Havertz shocked fans at the Weser-Stadion with a chip over the goalkeeper in the 67th. Aleksandar Dragovic then made it 5-2 and Leverkusen missed further chances as Bremen’s defense collapsed. The home side miserable evening was completed with an own-goal from Sebastian Langkamp in the 77th.